American Fridge Freezers are proving to be all the rage these days and we've got a great selection of them in stock at Marks Electrical. These appliances are usually larger than your average fridge freezer and that's the American way where, in many cases, bigger is better. The core aspects mostly tend to be the same, but what they do is becoming more innovative as the manufacturers are constantly trying to outwit each other. We've seen this first-hand and the scientific know-how behind them is only advancing. Some of them no longer cost as much as you'd think, either. Allow us to guide you through our top five picks, all of which you can buy from Marks Electrical. See our complete range of American Fridge Freezers here. This seems to be a model that has got a lot of people talking and has been hailed by Samsung as the complete smart home appliance experience. It has the function's Samsung American Fridge Freezers are known for such as Twin Cooling, where two different evaporators are at work, and Frost Free so no manual defrosting needed. It's the smart technology that takes it to another level, though, through a tablet-like user interface that can help you to make up a shopping list, note expiry dates and take pictures of inside the fridge. Voice recognition, through Bixby via a wi-fi network, is also available. This product takes some beating, as told in our review video below. Find it at Marks Electrical here. If you're not especially bothered about the absolute latest smart and cooling technologies, this Samsung American Fridge Freezer might be up your street. The metal graphite colour is still very stylish and it has a similar water and ice dispenser in its interior, with the net total capacity for chilled and frozen goods also exceeding 500 litres. Mono cooling means there's only one evaporator, but we did survive in the days before there was Twin and even Triple Cooling. Layout wise, there's not a whole lot of difference between this and the high-end models and, as an alternative, it's certainly more cost effective. Find it at Marks Electrical here. A compilation such as this should not be allowed to pass without talking about the LG SIGNATURE LSR100 American Fridge Freezer. 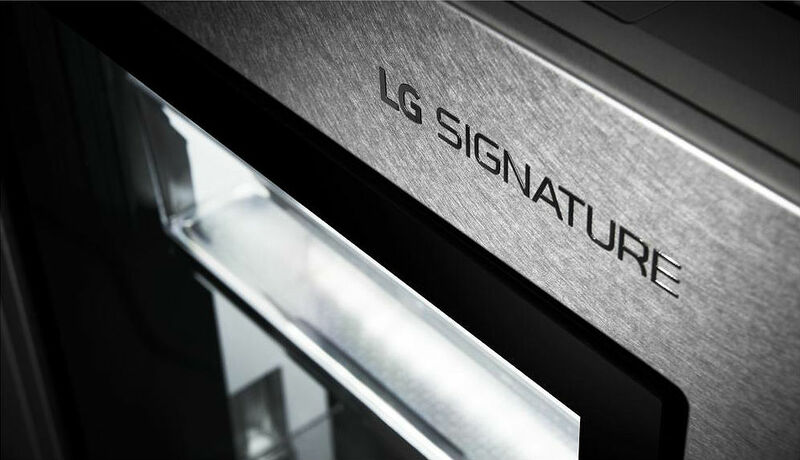 This is, quite rightly, one of LG's flagship American fridge freezers and has some clever features that haven't quite been seen anywhere else. LG's InstaView Door-in-Door Refrigerator is activated by tapping the tinted glass panel twice, to the right-hand side of the appliance, and acts as a gateway to the main compartment. The Auto Open Door uses a sensor detector at the foot of the fridge freezer by projecting light on the floor. When it's activated, the door opens gently. An Auto Open Drawer can automatically pull out the freezer drawers for easy reach and the settings can be controlled by smartphone. Find it at Marks Electrical here. Design is where this Fisher & Paykel model stands out from the crowd as a proper built-in appliance, combining the American fridge freezer style with French doors. It's integrated to the point that it fits in where others can't, as it only needs 4mm rather than 5mm either side for clearance. You can even hide the appliance behind custom panelling in a kitchen unit. It's extremely flexible, both inside and out, and will certainly appeal to those who are thinking about purchasing a new kitchen with appliances at the same time, which they can do with Marks Electrical. This is not just for show, though, and the product has the cooling advances contained in many of its counterparts. Find it at Marks Electrical here. You usually can't go wrong with Bosch and this American Fridge Freezer is proving to be a good example of their quality. It looks great, is reliable and simple to control, in fact it does most of the work for you. 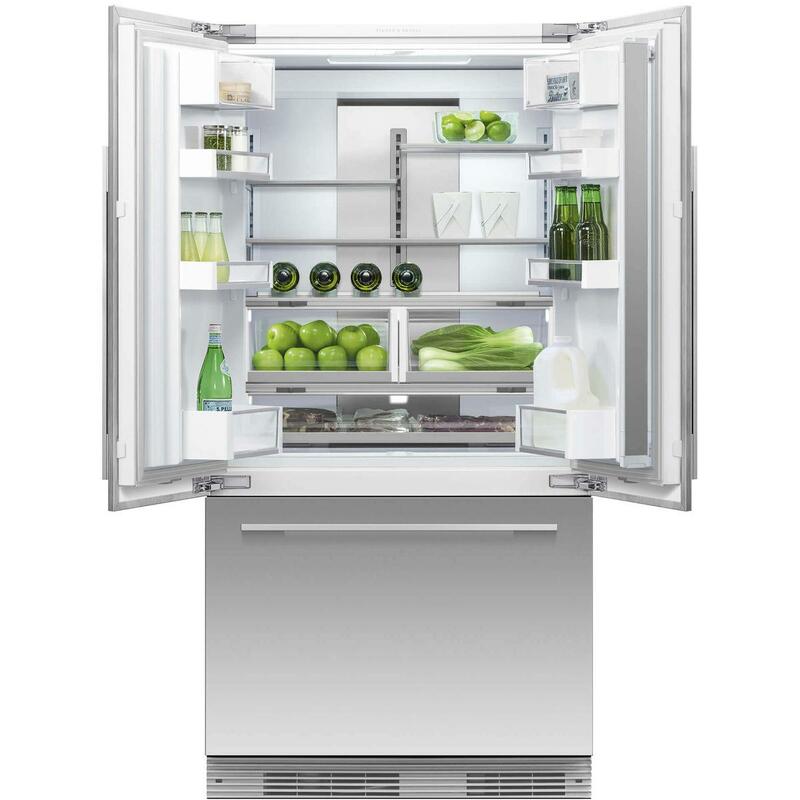 Like with most modern fridge freezers, air circulation is managed and ensures there is no frost. The storage arrangement is similar to a good few others, but Bosch have added more racks and an internal ice dispenser, compared to other models we've seen. You won't find much easier control panels than the one at the front of this appliance, which is all about precision cooling. Find it at Marks Electrical here. These are just a few examples of the fantastic appliances we currently have in stock, at great prices. To see them all, go to www.markselectrical.co.uk.